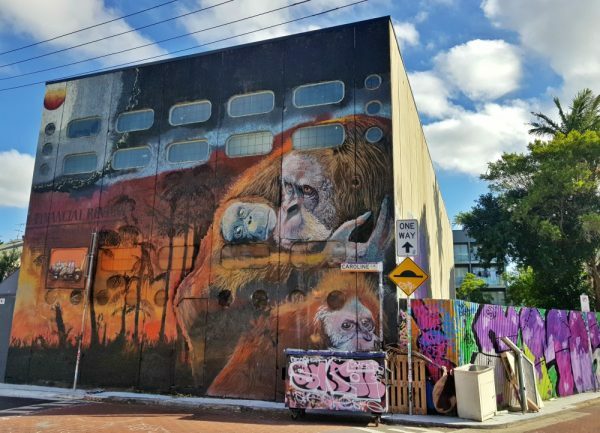 If you like Street Art, you will love this self-guided Inner West Street art walk through St Peters, Enmore, and Newtown. A word of warning, this is not a short walk, the whole thing will take you a good half day or longer if you stop for eats. If you have limited time or energy, you could choose just to do a portion of it. Buses run along these streets back to the city. 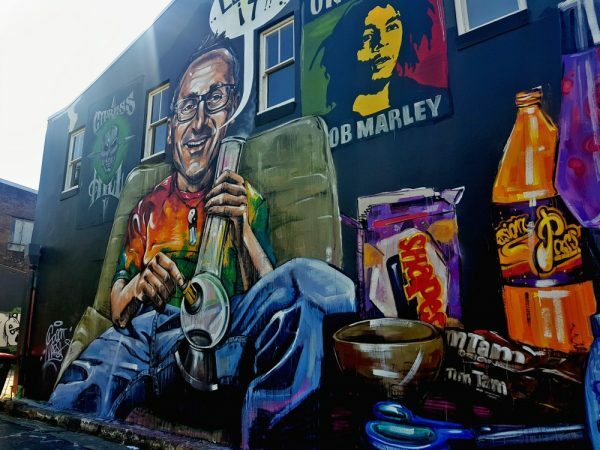 Recently on a particularly perfect sunny day, I went exploring some of my favourite inner west suburbs on a mission to find some great street art. 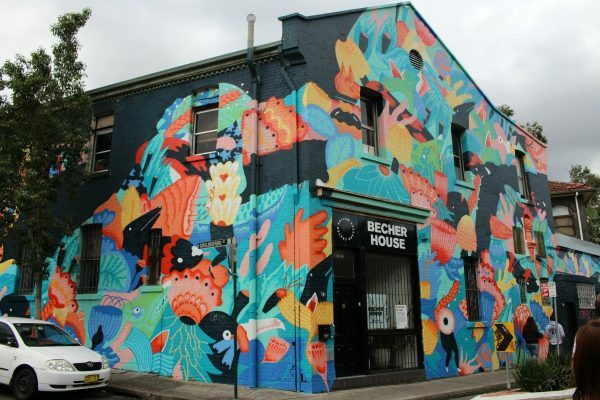 This area has a large number of excellent works to choose from thanks in part to a Marrickville Council, who have over the years built good relationships with local artists through their Perfect Match program. Originally this post was going to be all about the art, but there is so much great food in this area I have added lots of eating (and drinking) suggestions which may make it hard for you actually to complete the walk in half a day. Do you know of any great spots I have missed? Share them here so we can add them to the map. Begin at St Peters train station approx 12 mins south-west of the Central Station. Once you arrive exit to the right side of the station and you are minutes away from Mays Lane. 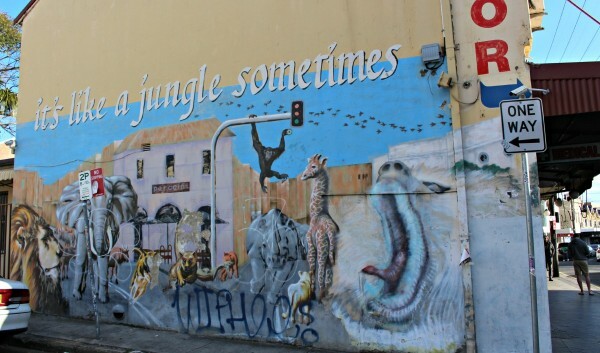 Mays Lane and Caroline Lane, which runs off it, are an outdoor gallery featuring an ever-changing array of work. Some of the work here is legal, but since 2010 artists should seek permission to paint here and that does not aways happen. Along with a studio nearby there is also a Facebook page showcasing the work. Wander up to the main road, the Princes Highway, you will notice some tall brick stacks from the highway. 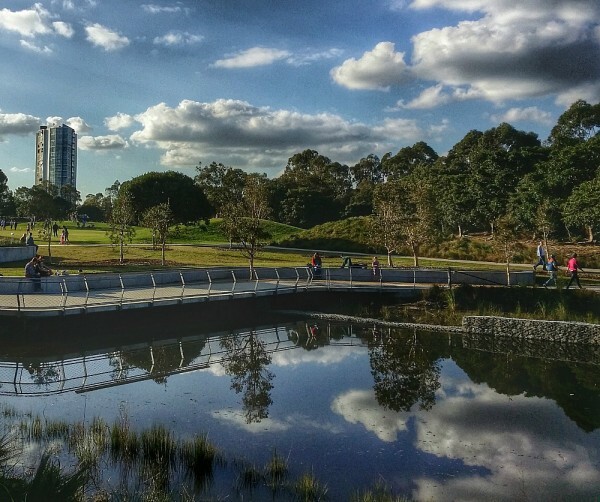 This area is Sydney Park; once a brickyard in recent years has been converted into a fantastic space with bicycle tracks, a community garden, picnic areas, and wetlands. It’s hard to imagine this little oasis from the highway, but there you go. 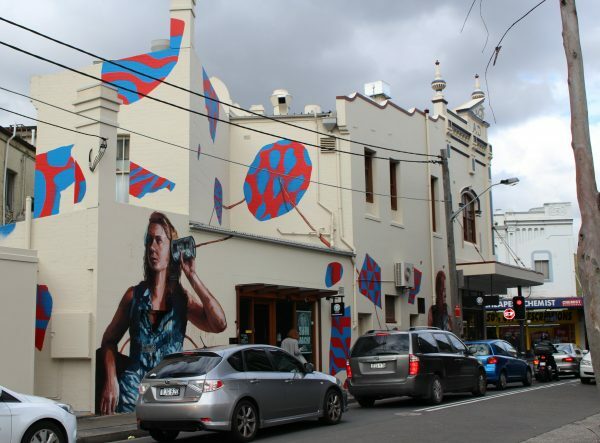 Continue north along the Princes Highway, once the road crosses the railway line it becomes King Street, a 2km long thoroughfare which along with its sister street Enmore Road is home to over 600 shop fronts, most of them independent and small businesses. 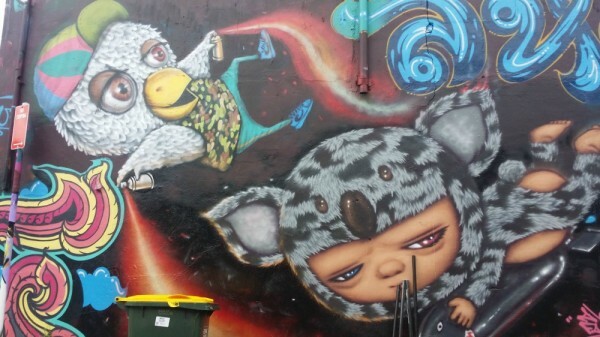 You are now in South Newtown, and there is street art down almost every lane. I will highlight some of the pieces I have discovered, but a wrong turn will probably result in you finding something just as wonderful. The back wall of the hotel has in recent years hosted large-scale murals that focus on current social issues. The most recent one features a key political figure smoking weed. Go back to King Street and on the next corner Darley Lane there was once a very chilled out elephant 🙂 Sadly no more. I have decided not to show you the new work because I prefer this one. Foodarama has excellent coffee and a very decent breakfast menu. Parliament on King – a tiny cafe that has a big heart a lot of interesting things to look at. Tea Totaler – Coffee not your thing? No problem, this gorgeous tea shop will be hard to resist. Pastizzi Cafe – warm pastries with a variety of sweet and savoury fillings and budget prices. Turn left down Alice Street and continuing walking until you reach this small park. It will be on the northern side of the street. 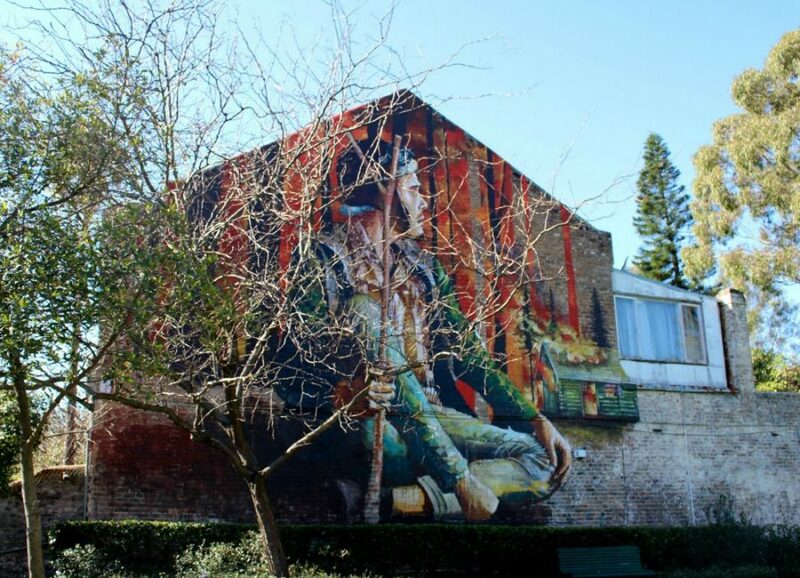 The park home to a gorgeous mural by Fintan Magee, probably my favourite street artist working in Sydney. This project was crowd-funded by residents in the houses surrounding the park. I was told by a local that image represents the first page of a picture book, and the artist hopes to complete several more in the neighbourhood to reveal the story. 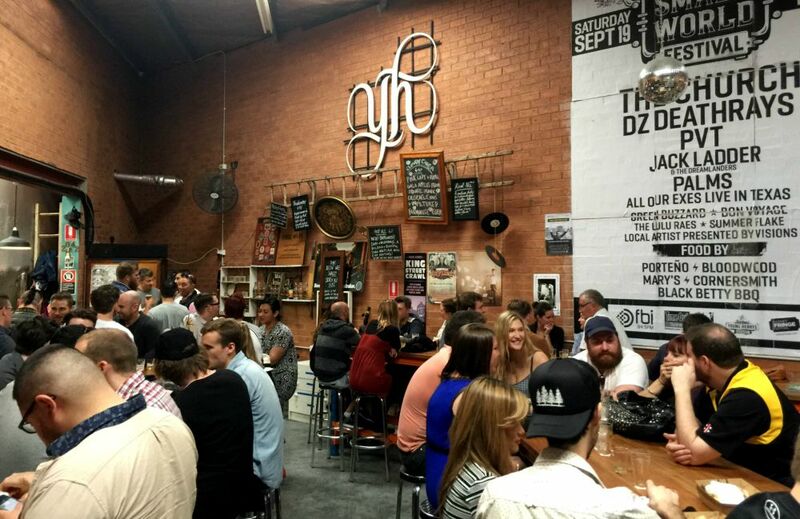 Newtown Social – old pub all done up. Continue along here until you reach Goddard Street. The walls of this short street look sort of like a gallery with a collection of small works in a line. At the end of the road turn right onto Bailey Street. This street hosts an ever-changing display of graffiti on the garage doors that line the left-hand side, some good, some not so unique but it is a bit of a shortcut to our next destination on Enmore Road. This work by Colin Bebe has recently been surrounded by controversy after being painted over by an ad agency sprouting a new film. There was a massive uproar from residents and it was very quickly recreated and an apology issued. It depicts the intersection of King Street and Enmore Road. Bovine and Swine – American brisket that will have you wishing you ordered a bigger serve. 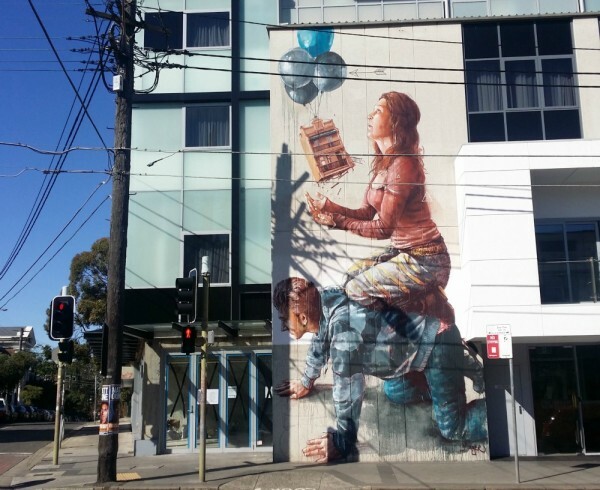 On the wall of the Urban Hotel, you will find another Fintan Magee mural; this is called Housing Bubble. Pretty appropriate for Sydney I think. 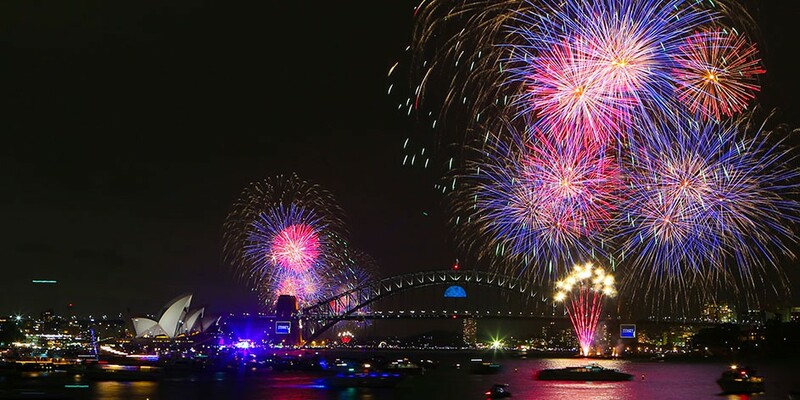 This hotel is a fantastic choice for short visits to Sydney, with transport and exciting food and drink all at your door. In these three streets, you will find a mix of stencil art and spray art. Artists are working in these lanes every time I visit. Last time I spoke with an older Greek gentleman whose home backs on to the lane and asked him if he minded all the graffiti, he said he felt it made the surroundings more beautiful, and he loved that now there are always people around. If you have not already stopped for a break or have an interest in craft beer a stop at Young Henry’s is highly recommended. The Brewery is in a warehouse and easy to miss but worth taking the time to find! Try the Newtowner or the Cloudy Cider if you are not into beer. If you are with me, walk back up to Enmore Road and continue north towards the city until you reach Australia Street. 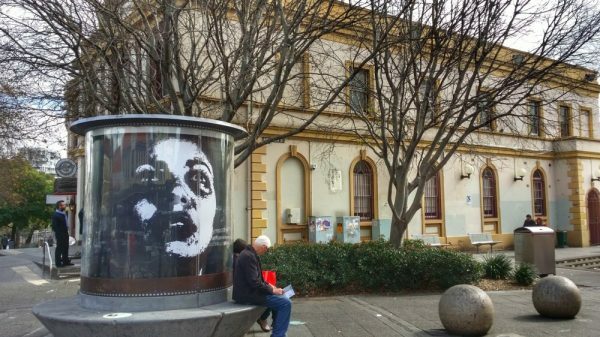 At this intersection is the Newtown Art Seat and on weekends often an assortment of market stalls. Opposite Newtown Station at the top of Australia Street is a pedestrian space known as Newtown Square. 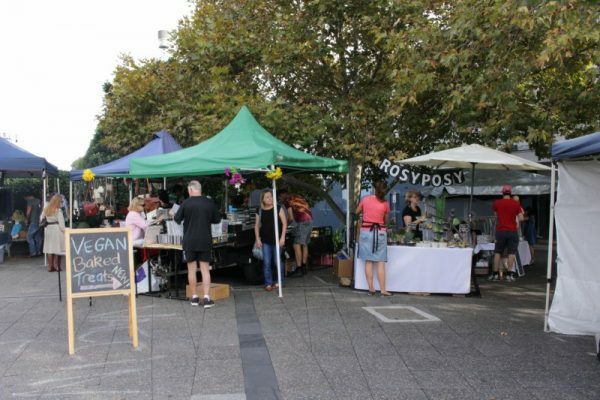 The square is home to a small market on Saturday’s and some cool artwork. Firstly the Art Seat, a place to rest your bones and a gallery for a changing display of work by local artists. Highlighting just how dog-friendly the area is is the Newtown Guardian Dog by Richard Byrnes, there are three dogs, placed at the entrances to the suburb. The other two are in St Peters and Enmore. If you have heard of the infamous strawberry and watermelon cake from Black Star Pasty, you can see the original shop just a few doors down Australia St, and you might want to detour for a coffee and taste. It is still my favourite cake in all of Sydney several years after it first appeared. Now we are just going to walk a little further up King Street to the Martin Luther King mural. 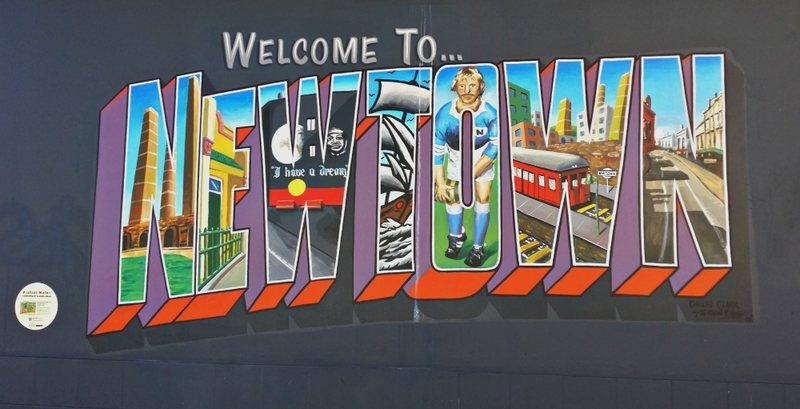 This one is one of the earlier Newtown murals. Painted in August 1991 by Andrew Aiken and Juilee Pryor (Unmitigated Audacity Productions). Later the Aboriginal flag was added at the bottom. 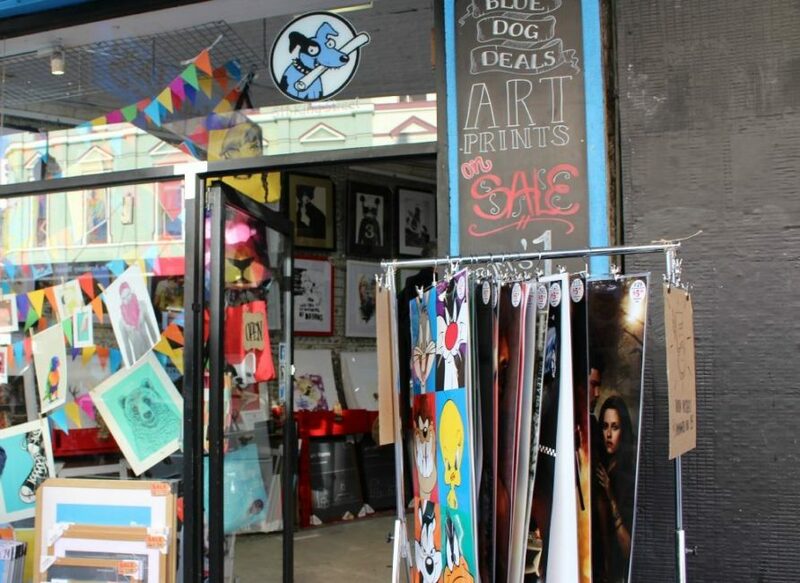 Just before the mural is Blue Dog Poster shop – worth a look if you want to take home some local artwork at a very reasonable price. Keep walking along King Steet exploring the shops until you reach Church St. Turn left on Church Street. Right around the corner is another Fintan mural I am not sure if this one has a name. However, it does have a story. It used to be a drawer of an archer with a bow yet due to a miscommunication it was painted over shortly after being completed. When he was asked to redo it, he decided to paint something new. 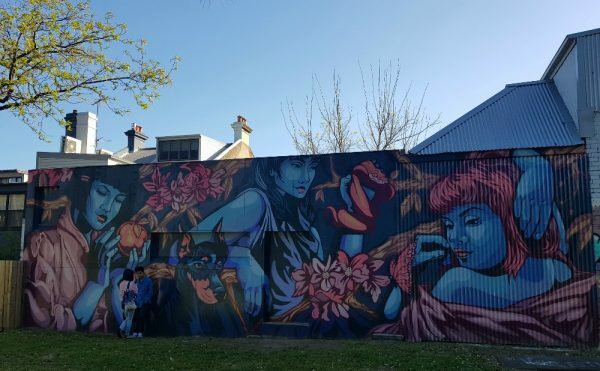 The walls surrounding Camperdown Park plays host to several new murals and is a great place for a picnic. If you have picked up some snacks along the way stop for a picnic lunch in the park. 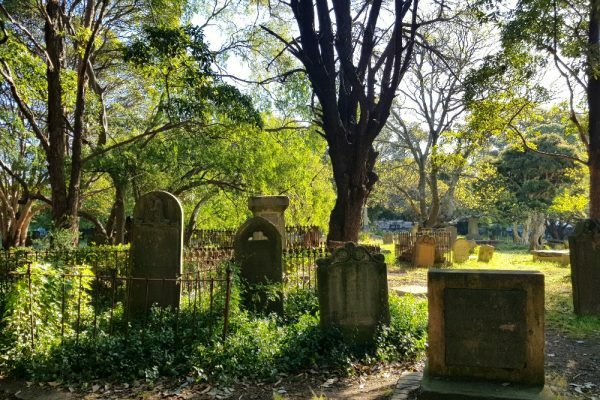 Before you leave spend a few minutes exploring the historic St Stephens Church graveyard. If you prefer the idea of a more formal walking tour with a knowledgeable guide, you might like to check out Culture Scouts tours. I have not managed to get along to one yet, but I have heard good things. 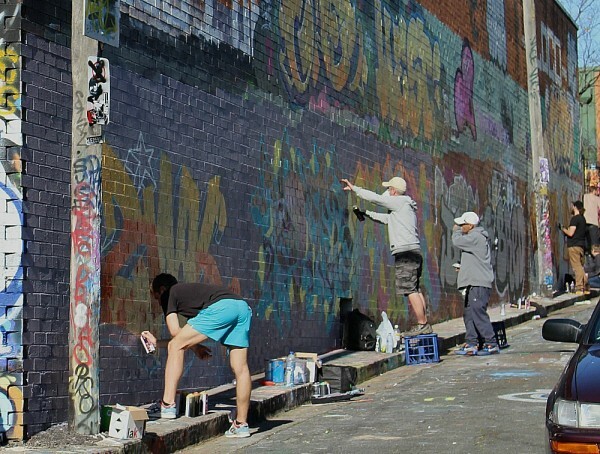 I have made a Newtown Enmore Street Art Google map that will help you find all the spots I mentioned and a whole lot more! The Clean up by Fintan Magee – Albermarle St Newtown. 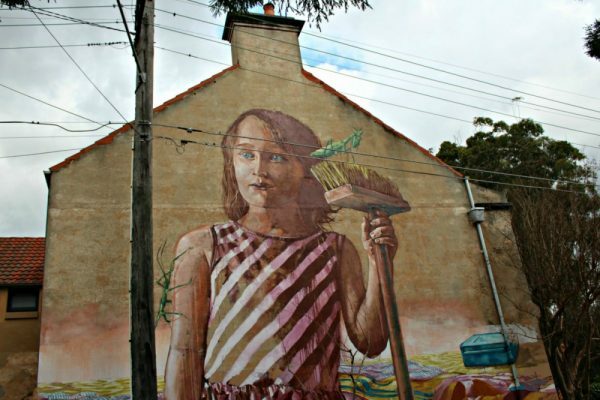 You might also like to check out 20 other Fintan murals across Sydney. Want a shorter walk? Check out this walk along Lennox Street Newtown that offers lots of art in a very short stretch. Wohooo, it looks like ju.. I mean an amazing post! I love street art, I have been photographing it and sharing it a lot lately. These are some fine examples! I LOVE street art! 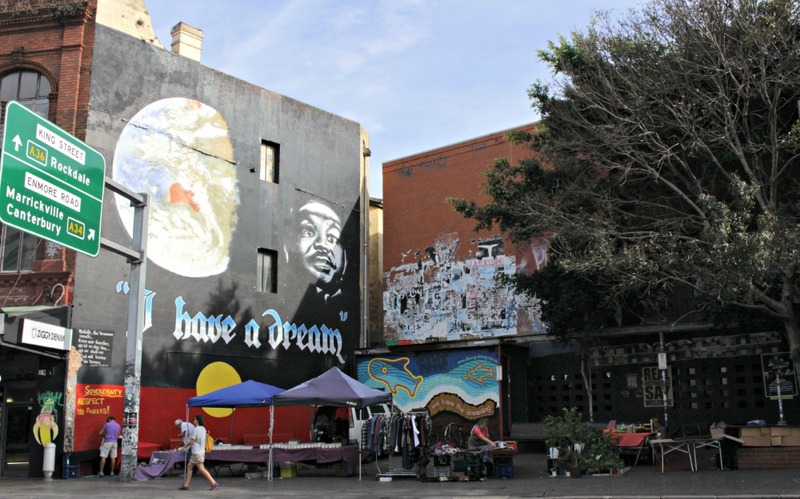 Your posts are always a goldmine of information – I would never had known there was such a great street art scene in the Inner West, thank you for enlightening me and for sharing your knowledge. I highly recommend a visit to Newtown, particularly once you have ticked off the top 10 lists 🙂 I think you will love it Meg. No problem – I hope you get to take the walk one day. Brilliant! 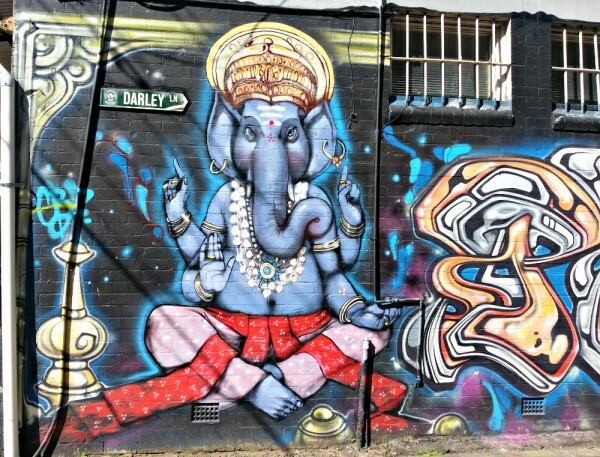 I love street art and search for it all around the world. Although I know it exists in Sydney it can be hard to find. As soon as we recover from the jet-lag I’m going street art exploring using your post. There is a particularly clever piece of street art in Kirribilli which David and I often cycled past. I will take a photo next time and send it to you. Please do Lyn. Let me know if you want a buddy to do the inner west walk when you are back. Hello! 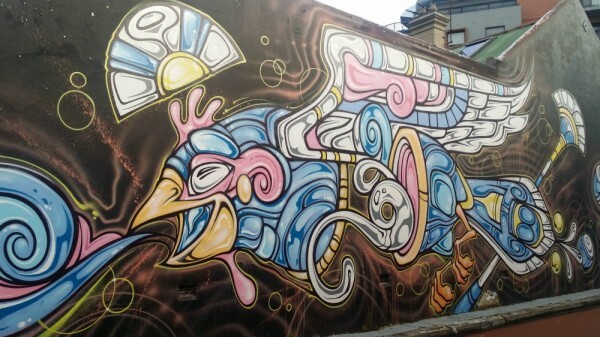 I came across your post on self guided street art walk in Newtown! I cant wait go exploring with my friends. 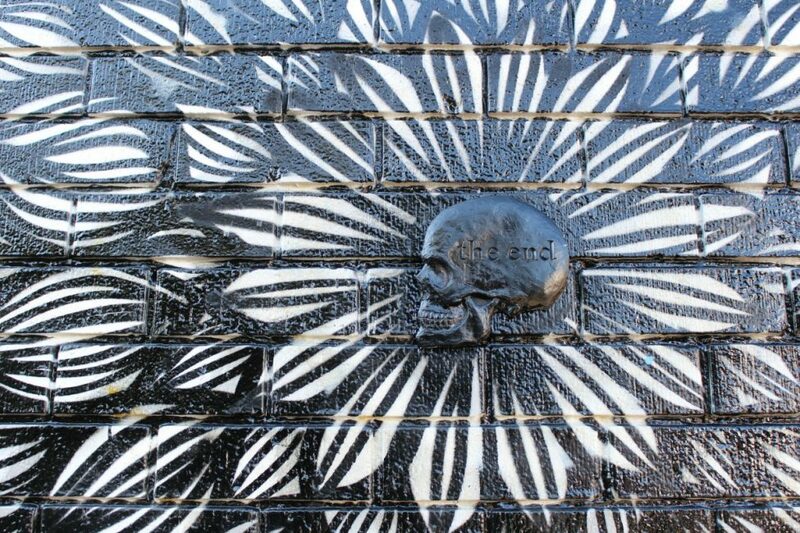 The photos of the street art looks amazing. I was just wondering if you could send me the map of the walk as the link on the post is not accessible. Thanks for letting me know 🙂 Will update the details now! I’m glad that we still can find so helpful people generating such a good content. Thanks Lucas! Good to know it’s helping. 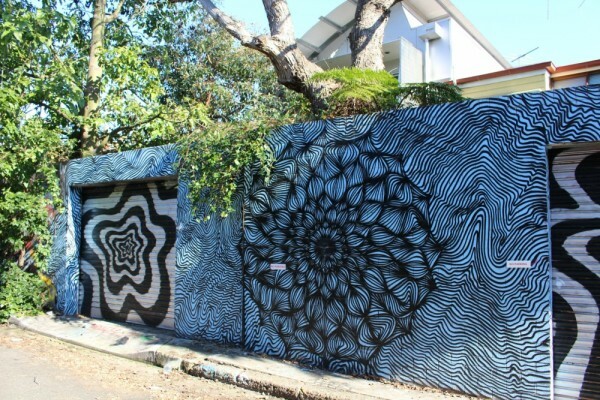 Nice work in doing this art walkthrough.. The art in Darley Ln with the elephant face is Lord Ganesha from Indian mythology.. I was so sad when they painted over it! Thanks for telling me the correct name, I will update the post.